When Jenny kindly invited me to write a guest post for Savour the Senses, I felt honored! Thanks to Savour the Senses, I have been introduced to some fantastic recipes and blogs! Hi, my name is Pragati Chopra and I am the name behind the blog Get Fresh with Food. It was my mom who introduced me to her kitchen through washing dishes. Mom needed help and at 6 years of age I need a reason to play with water. Slowly I graduated to cooking in my mom’s kitchen. Even then, when I would cook, mom would conveniently take care of the cleaning. Once I moved out I realized it takes a lot more to run a kitchen. That’s when I learnt to plan meals, shop economically, and clean up after. Get Fresh with Food came out of the need to cook regularly with fresh and healthy ingredients without spending too much money or time. 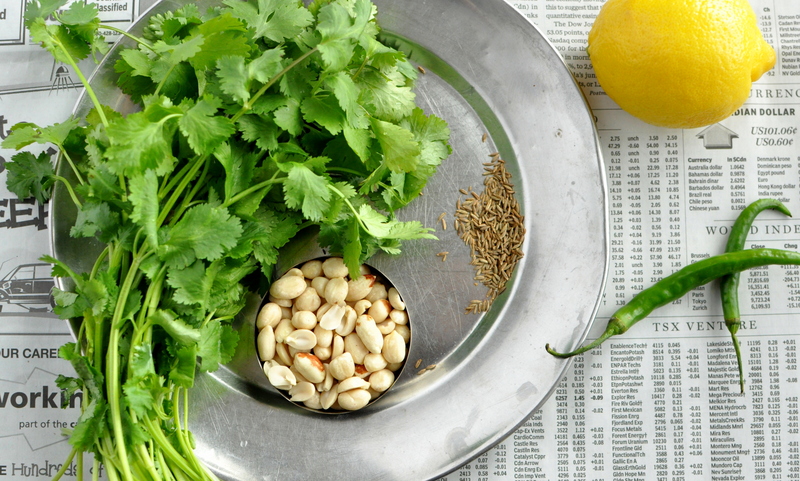 Today I will share a Coriander Chili Chutney recipe that I make whenever I have a bunch of coriander wilting away in my fridge. This chutney is regularly cooked in Indian kitchens and I have tasted many versions of it. Some versions call for granny smith apples, or cashews, or mint, or tamarind flavored water. The idea is to provide a fresh, tangy, hot side that accompanies appetizers like samosa, chicken tikka, tandoori chicken, meat kebabs, and the list goes on. Place a flat frying pan on medium heat and add the cumin seeds to it. Roast them for a couple of minutes. Once the cumin seeds start to darken then quickly remove the pan from the stove or else the seeds will burn. Put the cumin seeds in a grinder and grind into a fine powder. In a mixer add all the ingredients together and blend to a fine paste. Serve cold. Lovely to meet you, Pragati and I’m eager to check out your blog. This coriander chili chutney looks wonderful! 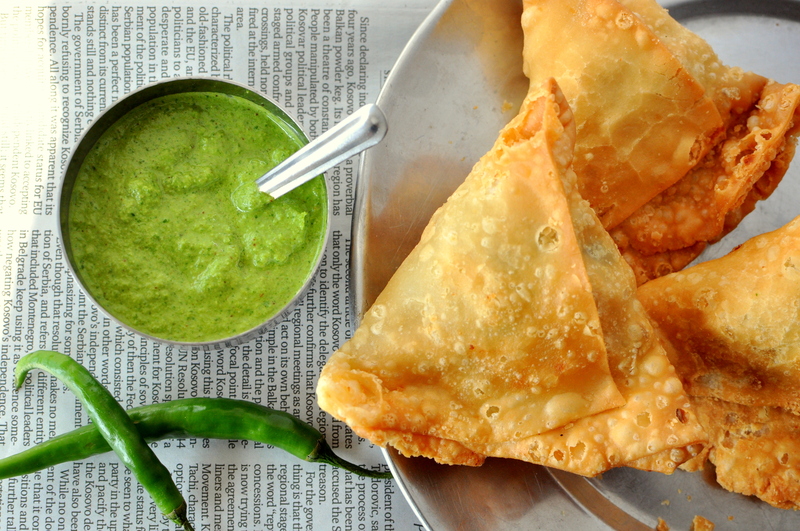 yumm, green chutney! always enjoy this dip with some warm freshly cooked pakora. I hadnt tried a peanut chutney version before. thanks for sharing! I am not sure what ur apologizing for!! But thx Jenny for inviting me to post!! This was an exciting experince for me. Thanks for the great way to use up cilantro — this dip sounds fresh and fantastic! Loved hearing about how you grew into your present day love of cooking, Pragati. Very nice guest post! Hi Pragati, nice to meet you 🙂 What an absolutely delightful Chutney! mmmmmmmm looks delicious. how long will this keep fresh for? I really love coriander chutney! My mom often makes it. But I’ve never tasted it before with peanuts. Thanks Pragati for sharing!